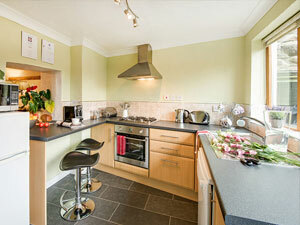 Corner Cottage Wolsingham is a charming four star gold self catering cottage sleeping two guests. 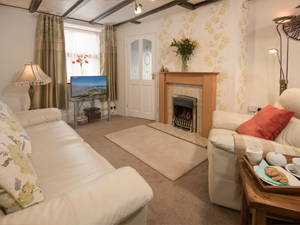 Refurbished to an exceptionally high standard the cottage is located in the picturesque village of Wolsingham near Weardale in County Durham, an area of outstanding natural beauty. 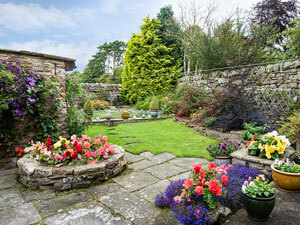 Ideally located for Durham City, a World Heritage Site, the Northern Dales and Northumberland. Further images of the cottage can be found here. 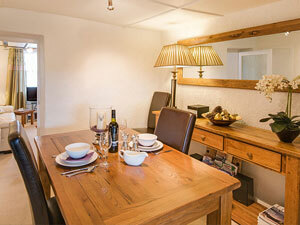 Tastefully furnished with leather suite, exposed beams, gas fire, Wi-fi, Smart TV and DVD player. Solid oak dining table to seat four, leather dining chairs, oak console table with matching mirror, MP3 player with USB charger, Sony Hi-Fi system with radio and CD player. Modern units with electric cooker, gas hob, microwave, dishwasher, fridge freezer, Bosh coffee machine, iron and ironing board. 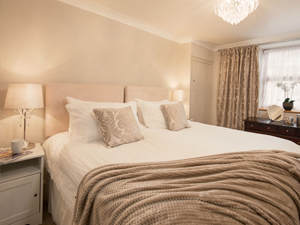 Has a super king size bed which can be converted into 2 x 3ft twin beds and also has the original fireplace. 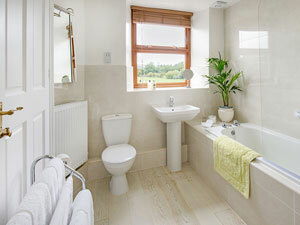 High quality modern bathroom with shower over bath and solid white oak flooring. At the rear of the cottage garden furniture is provided to enjoy the enclosed walled garden which is shared with the owners.